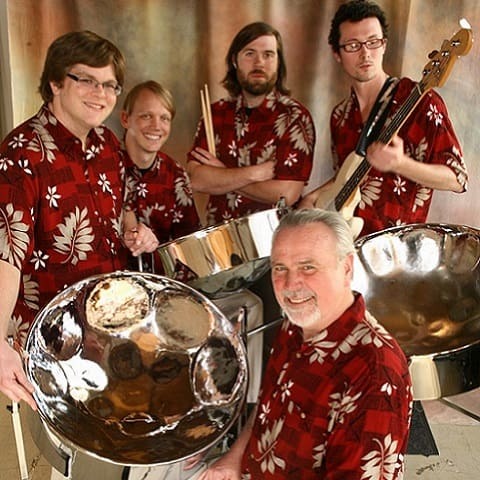 Tropical Breeze is a steel drum band that guarantees to make everyone feel good and enjoy the occasion. You can do the Limbo, dance to the sounds of Jimmy Buffet and Bob Marley or simply groove to the island sounds from the best Calypso and Soca Trinidad & Tobago has to offer. Tropical Breeze is comprised of some of the best Steel Drum players and musicians in the Southeast, with many years of experience in this unique art form. With a universal appeal that spans all ages and an instrumentation that will fit your budget (ranging from a solo pan to a five-piece or larger ensemble), Tropical Breeze is absolutely your best bet for that very special event – especially, an Atlanta steel drum wedding ceremony or reception.